You love the airlines now! Or at least, you don’t hate them any worse than you did back in 2007, according to a new survey released by J.D. Power & Associates. 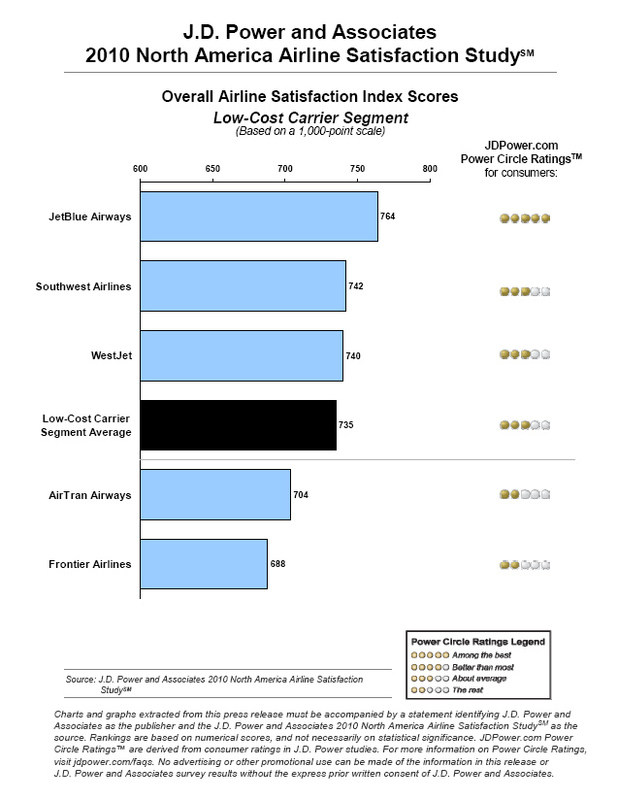 The report shows that the customer satisfaction rating for 2010 was 673 on a 1,000 point scale, “up 15 points from 2009 and the highest since 2007,” writes BusinessWeek. Lost baggage complaints fell 26% from the previous year, and on-time performance was at its highest since 2003. However, CNN notes that the current overall score is still lower than it was before airlines introduced checked-bag and other fees a few years back. Both articles also point out that the rotten economy has helped, because fewer flights translated to better on-time performance. Here are the scores, or you can click the images below to see the original J.D. Power and Associates charts from their press release.